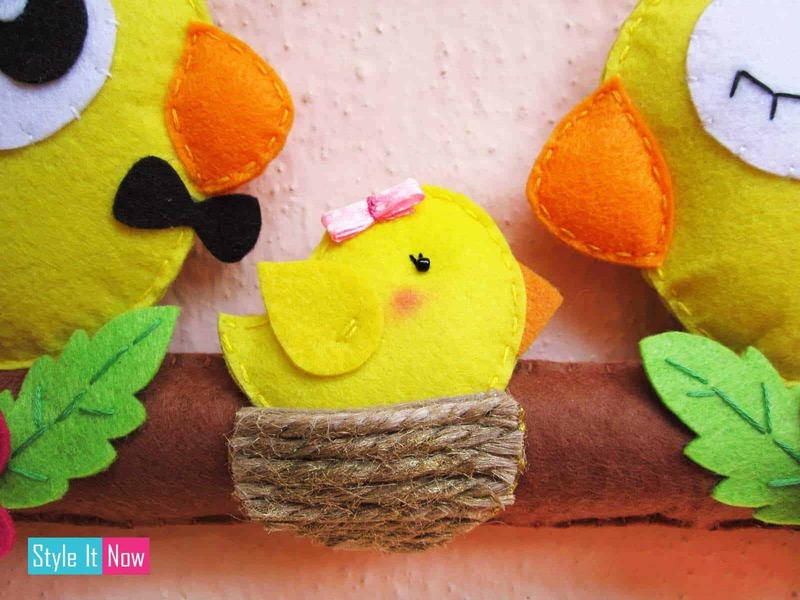 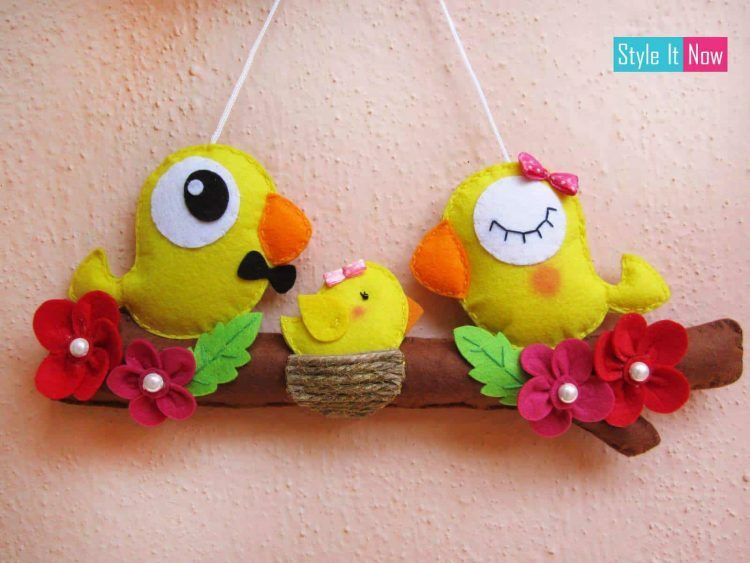 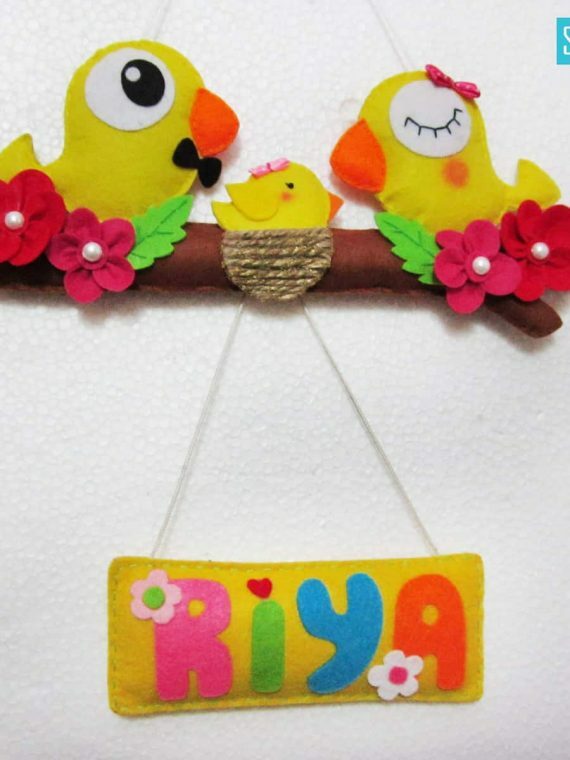 Felt Birdie family wall hanging. 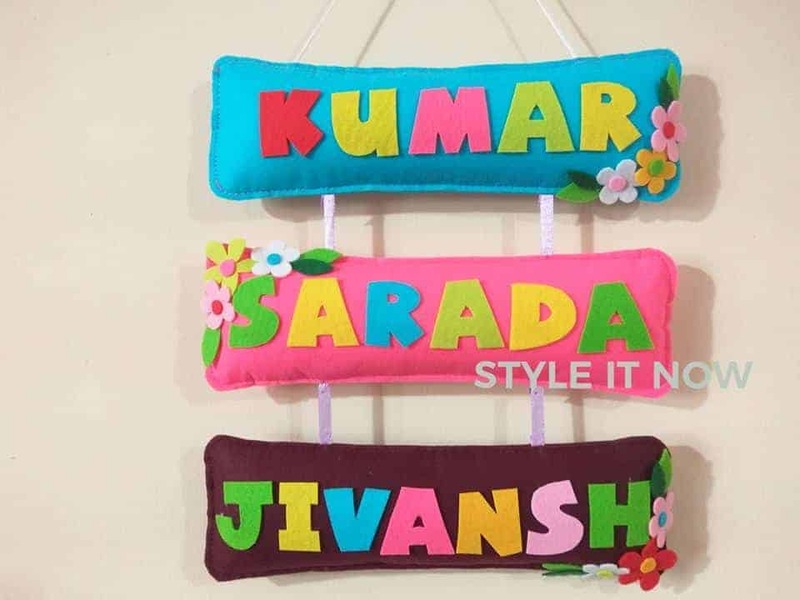 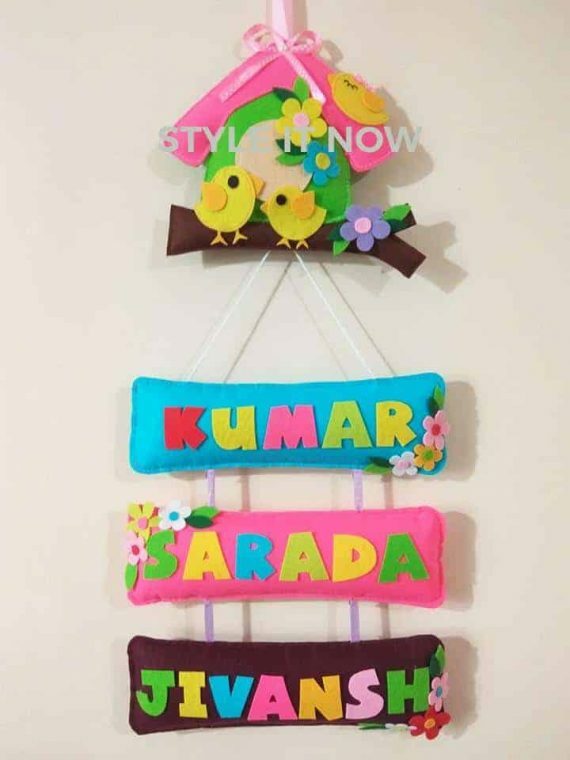 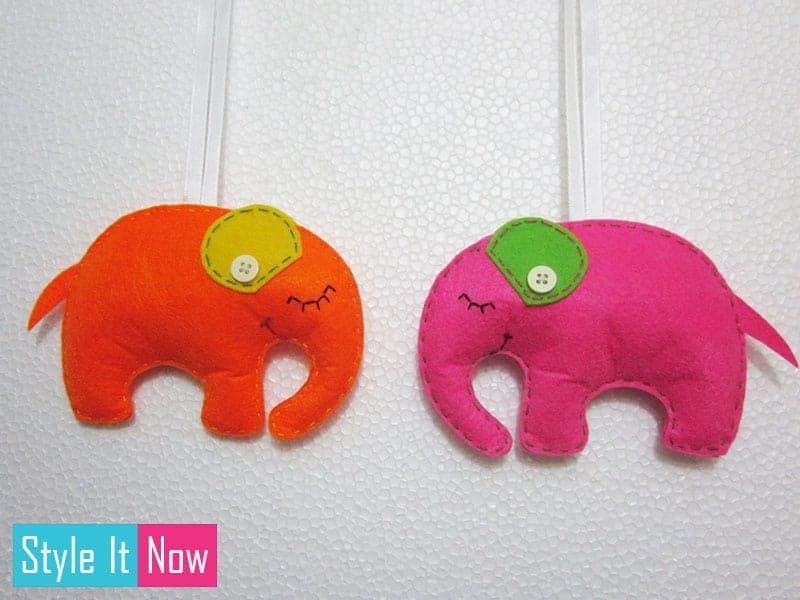 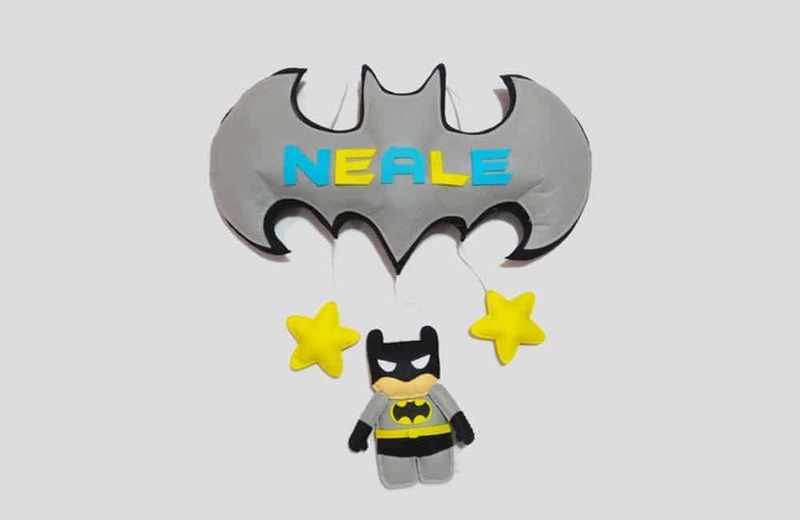 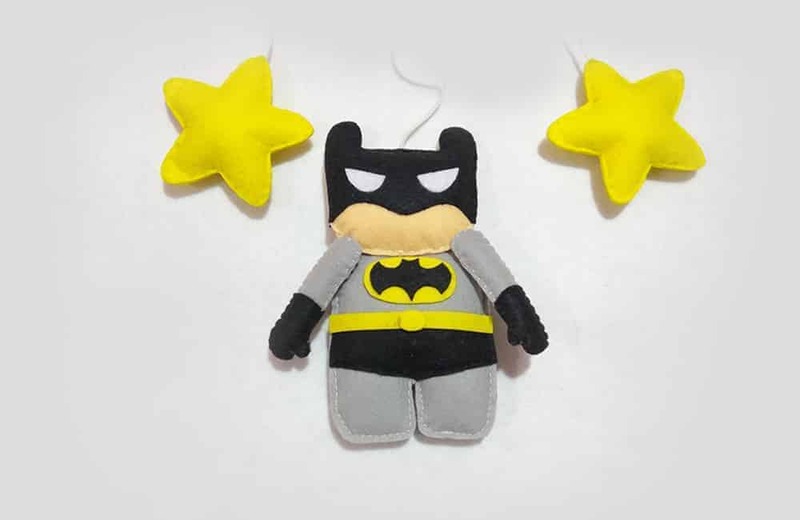 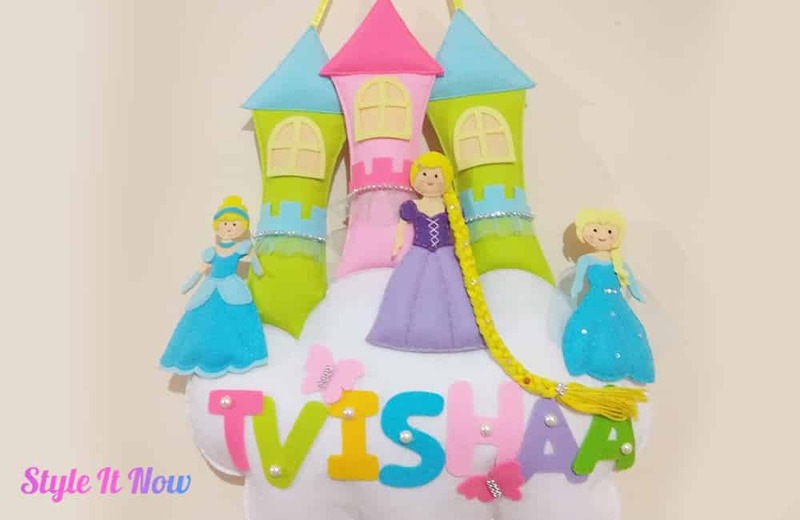 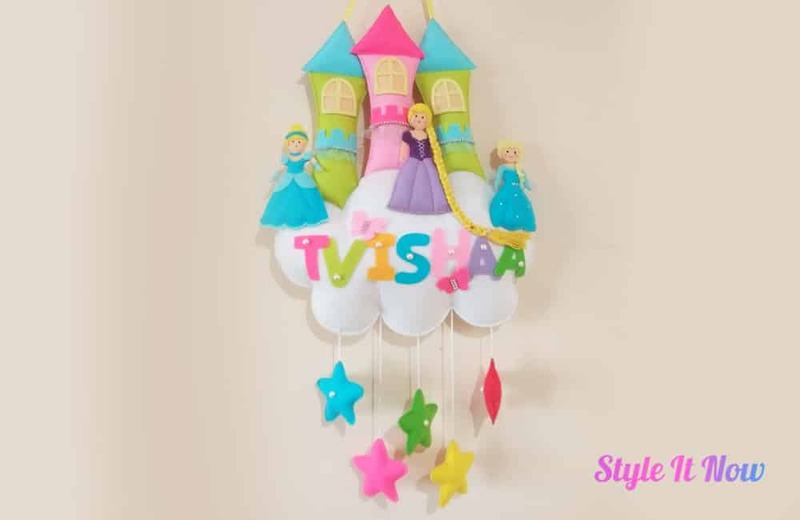 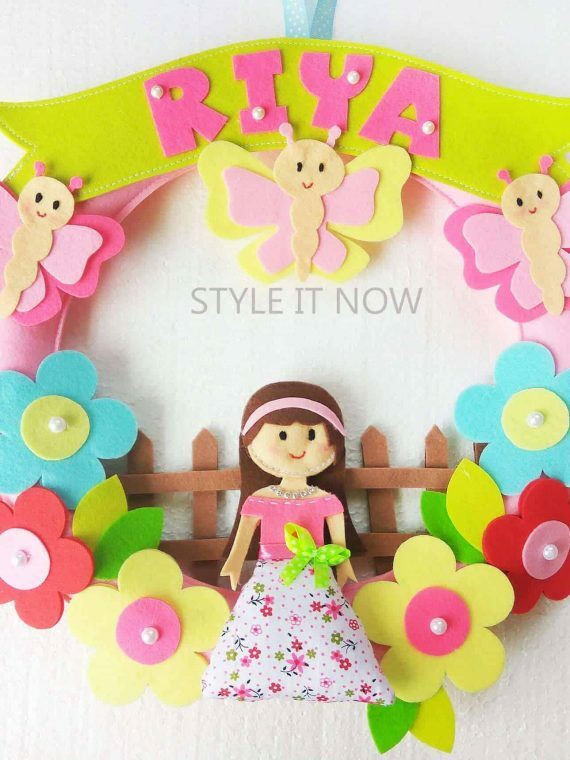 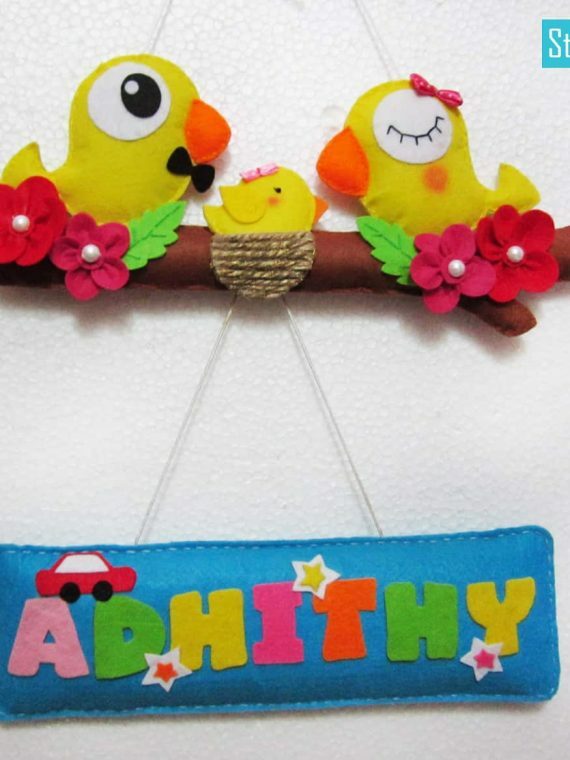 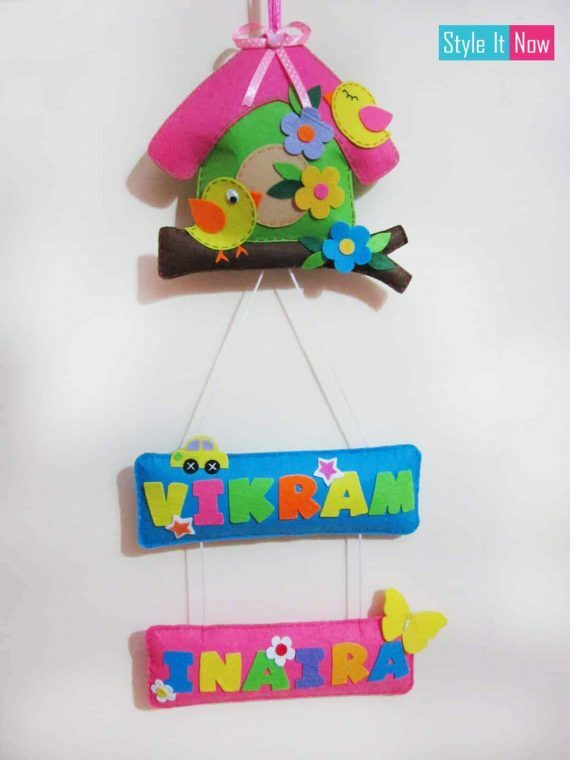 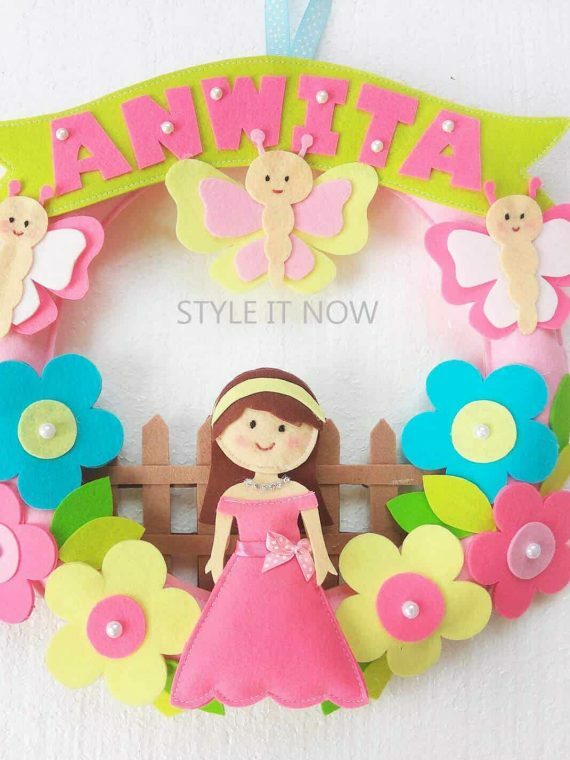 Beautiful and unique Personalized gifts. 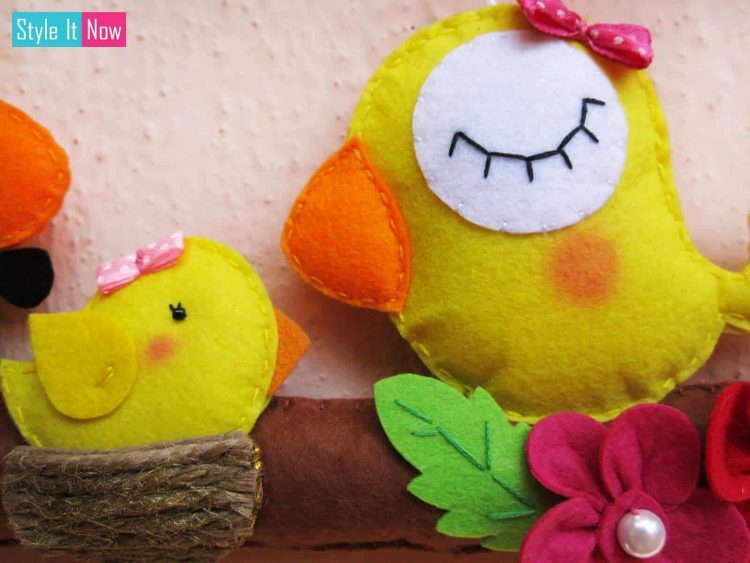 A perfect Keepsake gift for Anniversary, Engagements..
Approx. 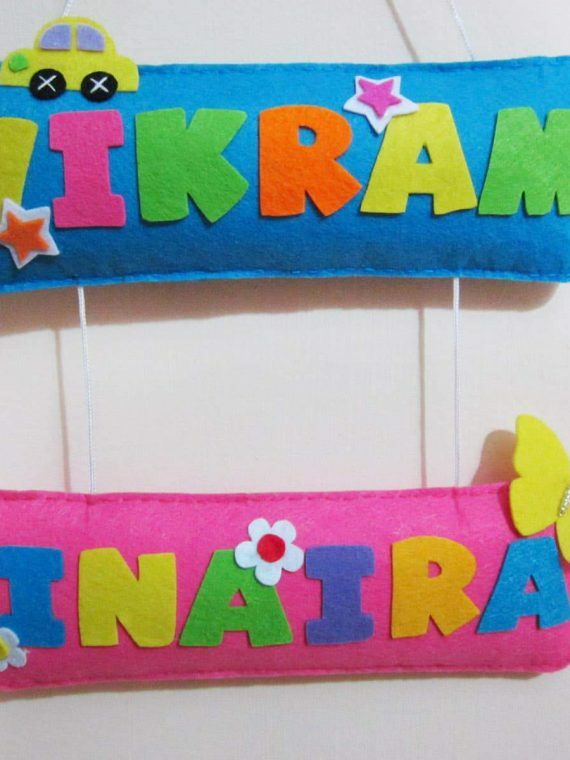 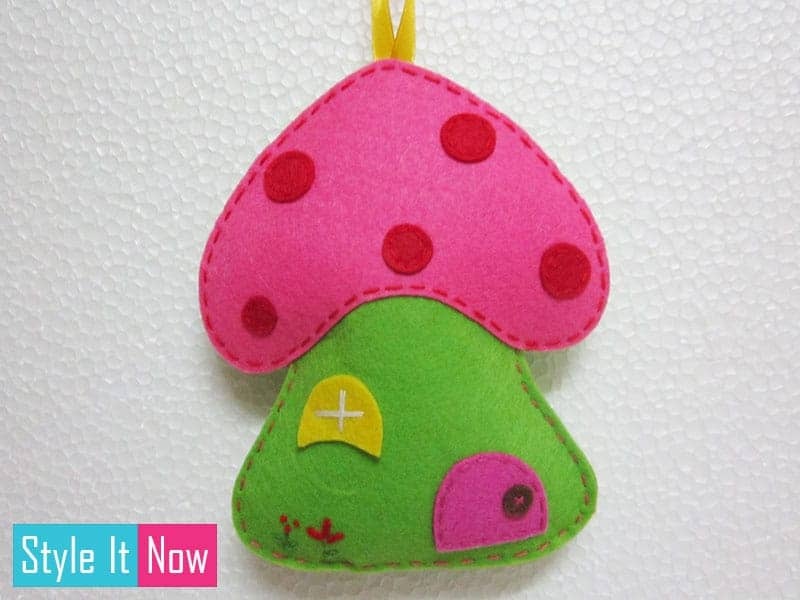 Size – 30 x 13 cm.